Heras Airmesh is a lightweight fabric that can be fixed either to the Heras Standard panel or the Heras Anti-Climb panel. Offering good see-through visibility, the mesh fabric benefits from evenly spaced holes that allow wind to pass through ensuring it is stable and not susceptible to wind. 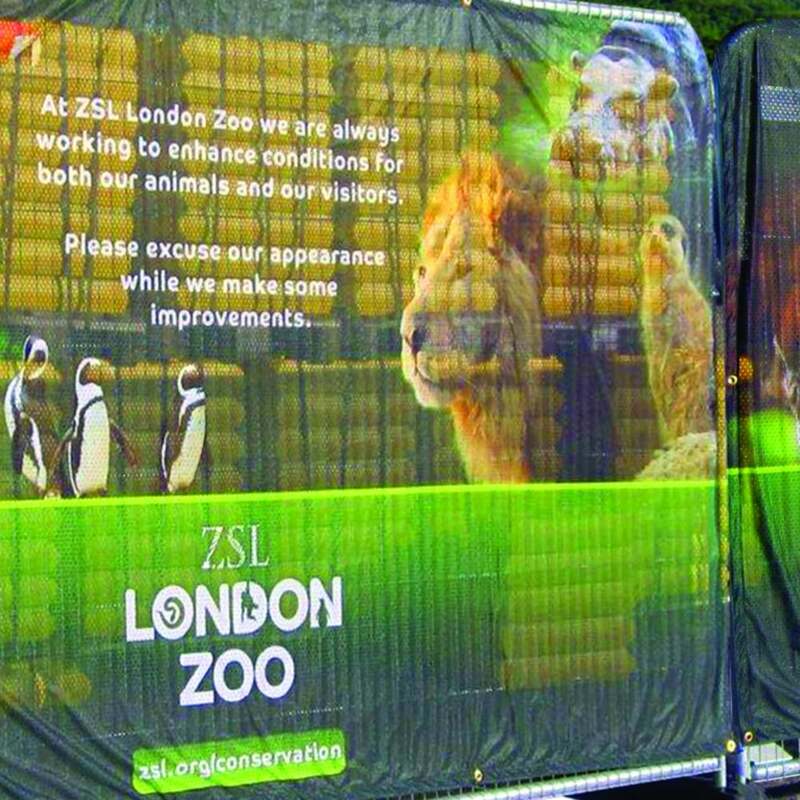 Certified for a wind load in excess of 40mph Airmesh provides an excellent platform to display corporate branding or advertising as full colour printing is available. It is machine washable, crease free, tear proof and fully recyclable. Airmesh provides effective screening to hide unsightly construction sites, and is particularly well suited for festivals, outdoor events, roadworks or busy public places.